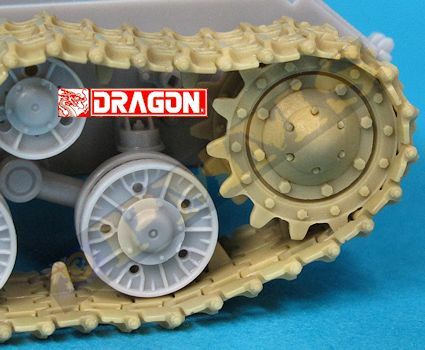 This set of tracks from Miniarm represent the narrower 650mm wide split link tracks and while designed initially for the DML IS kits are also applicable to the recent Trumpeter KV-1S and SU-152 kits. 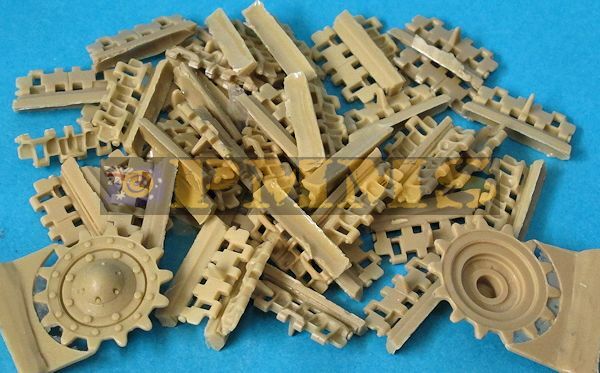 The set consists of approximately 180 resin track links, 90 with the guide horns and 90 without the guide horns plus a set of replacement drive sprockets. The track links are handed, this means the links are cast with the large pin bolt on the outside of the right and left links with the flat pins on the inner side of the links so you need to take care not to mix up the links and fit them correctly to the kit running gear. 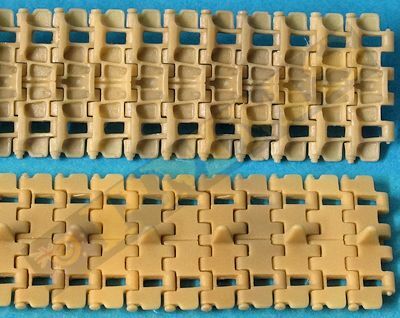 The actual light weight split link track used on the KV-1S and SU-152 is about 650mm wide which is 18.5mm in 1:35 scale and the set tracks measure out at 18.5mm (give or take a fraction) making them spot on scale width wise. The links are quite cleanly cast although the hole on the opposite side of the guide horn is quite shallow compared to the actual track and the 'split' links are cast in one piece with the split join depicted as an engraved line. The links have small pins on one side and corresponding pin holes on the other but quite a few of the links had very small pins and some none at all. The only cleanup needed is the pour plug attachment points on the link segments and there was very little if any resin film on the links, care is needed when removing the resin plug from the drive sprockets to not damage the teeth points. 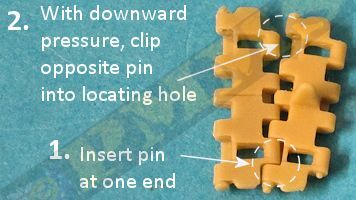 Assembly is quite straightforward, you first slip one link pin into the previous link and using slight downward pressure carefully clip the other pin into place. 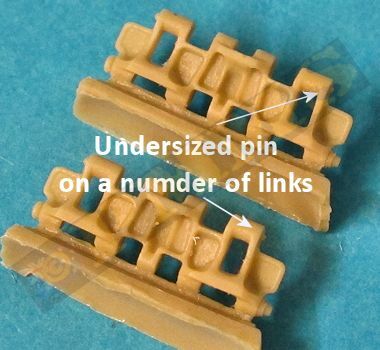 Unfortunately due to the very small pins on many of the links the joins were not very robust and the assembled track runs continually come apart with only moderate handling and it may be better to actually glue some problem links together to overcome this. 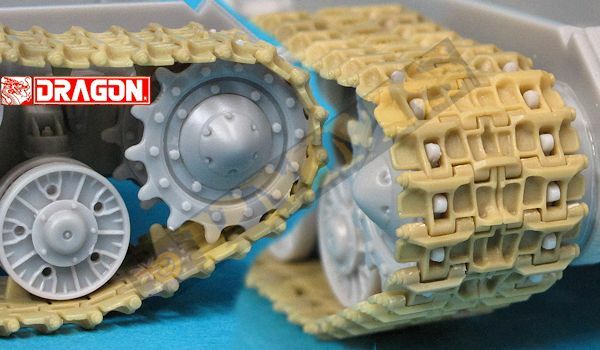 The assembled track runs fit perfectly to the Trumpeter KV-1S and SU-152 drive sprockets as well as to the Tamiya JS-2 kits used for testing but the fit to the DML JSU-152 kit sprockets is not as snug as with the other kits. 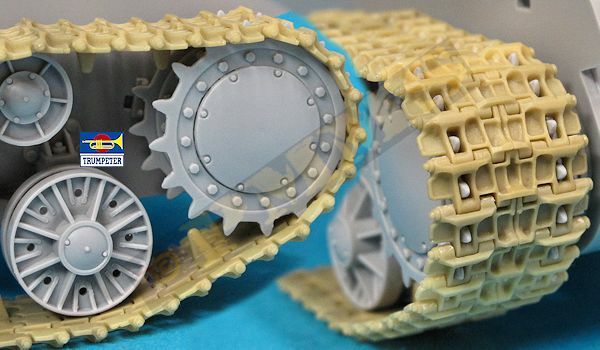 By fitting the resin drive sprockets to the DML kit both improved the sprocket detail as well as providing a better track fit around the sprocket. 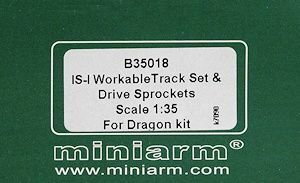 This is an nicely done set of replacement tracks from Miniarm for any of the available JS kits and also to the Trumpeter KV/SU kits. There is a bit of cleanup needed but the assembly is quite straightforward with pins provided and fit nicely to the target kits. The resulting track runs are unfortunately quite fragile due to the small pins but the links themselves have excellent detail and will improve the detail over the kit tracks on whatever model they are used on. See the comparison summation of the available track sets HERE.